This natural scoop is perfect for dosing out bath salts, body scrubs, powders or other cosmetic formulations. The flat surface of the scoop allows for level measuring. This white scoop is perfect for dosing out bath salts, body scrubs, powders or other cosmetic formulations. 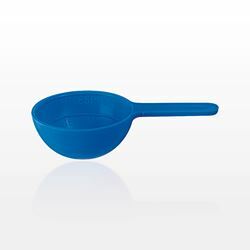 The flat surface of the scoop allows for level measuring.